We all want to have skin that looks young and glowing. Wrinkles, fine lines, dark spots and crow’s feet are things that frighten us. We can delay the process of aging of the skin with some of the do-it-at-home packs and masks. 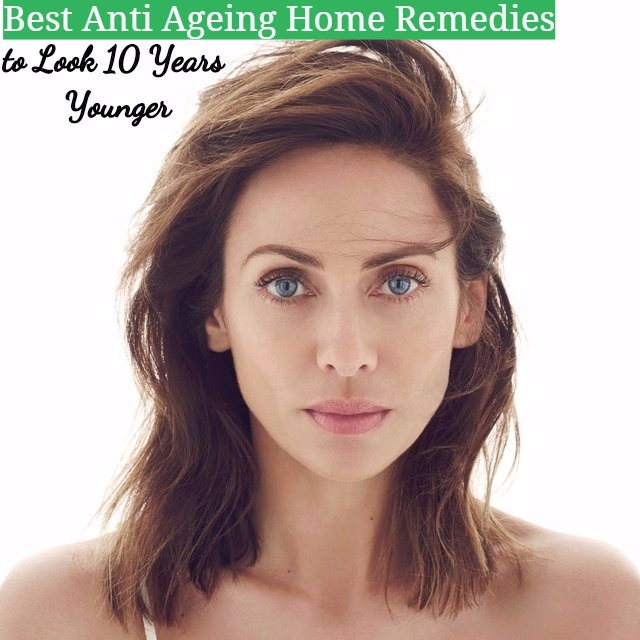 There are many home remedies for delaying aging. These are very effective and do not have any side effects. Remove the pit and grate the avocado to get a paste. Apply this paste on your face as a mask and rinse off after 10 to 12 minutes. Mix all the oils well and massage your skin with this blend in circular and upward motions for 2 to 3 minutes. Leave it overnight or at least for one hour. Apply this every night after cleansing your face and neck. Chop and mash the banana and mix it well with honey and rose water. Now add yogurt and mix well to get a smooth paste. Apply this on your face and wait for 20 minutes. Take the oil and massage it from your neck to the face. Leave the oil for an hour or so and then wash it off. Apply this every alternate day. Dip the cotton ball in coconut milk and apply all over your face. Wait for about 20 minutes and then wash off with cool water. Apply this way 2 to 3 time a week. Boil the carrot and potato and mash them to get a smooth paste. Now add a pinch of baking soda and turmeric to it. Mix well with some water and apply it on your face. Keep it for about 20 minutes and then rinse with warm water. Mix all the ingredients well and apply on the face. Wait for about 15 minutes and then wash it off with cold water. Apply this once in every three days. Mix all the essential oils together. Store the oil blend in a container that is clean and dry. Take a drop or two of this and apply it under the eye area in circular motions. Apply this every night before you go to bed. Take one to two teaspoons of honey and apply it on the neck and the face. Massage for one or two minutes. Wait for 15 to 20 minutes and then rinse with water. Mash the papaya pieces and make a smooth paste. Apply it on your face and wait for 10 minutes. Apply the mixture on your face with the help of a cotton ball. You can apply this every other night before you go to bed. You need not wash your face after applying this, as your skin will absorb it. Mix all ingredients together except Vitamin E.
Now cut the Vitamin E capsule and pour the oil into the pack you have made and mix well. Apply this pack all over your face and wait for 15 to 20 minutes. Apply this 2 to 3 times a week. Ashwagandha is one of the most powerful rasayana remedies in ayurveda. It is often called Indian ginseng because of its amazing rejuvenating powers. Chyawanprash is also ayurvedic. It includes minerals, herbs and fruits. It can keep your mind and body rejuvenated. It has lots of health benefits also. This is not only good for the skin but also for the mind and the body. It is made up of 40 different herbs and minerals. It takes weeks to prepare them. Shilajit is an ayurvedic medicine used for curing a lot of ailments. It has anti-aging properties also. You get it in the form of capsules. Having it regularly can make you look younger. Laser treatments and Botox injections are chemical treatments for removing wrinkles, fine lines and other signs of aging from the skin. But it is better to look for natural remedies before opting for chemical treatments, as the chemicals can damage your skin.